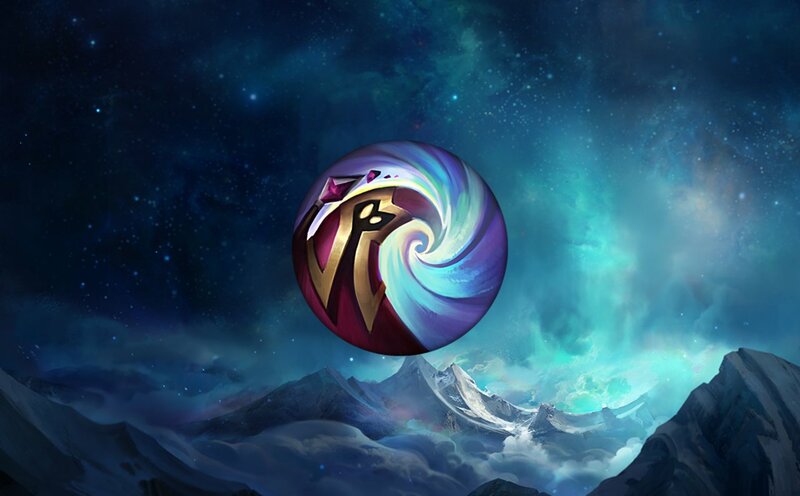 Runes Reforged brought a ton of new runes to the table. Most of them are exciting, but others... not so much. And then there's Minion Dematerializer. 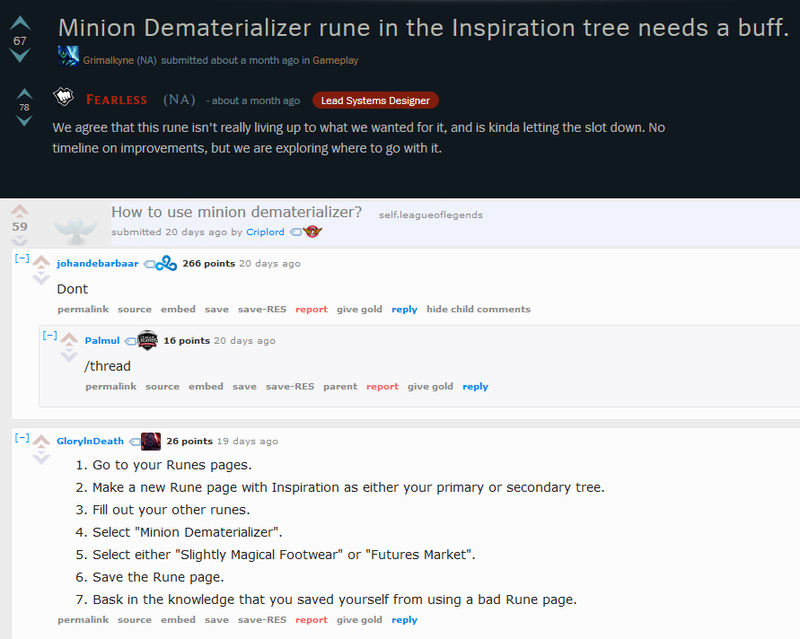 Initially perceived as an interesting concept, the rune was quickly dismissed by most of the community as too weak, and even Riot acknowledged it was underwhelming. Some players hoped it could help solve wave clear issues for champions. Lux, for example, cannot kill caster minions by only using Lucent Singularity (E), but with Dematerializer’s permanent extra damage, she can reach that point earlier. For the most part, though, the rune was dismissed as useless. That is until recently, when it started up showing in pro games in both mid and bot lane. Why is a seemingly underpowered rune growing in popularity? The short answer is: It helps you push lane faster. Minion Dematerializer allows you to absorb a minion instantly. In addition, it will give you 4% increased damage against that type of minion for the rest of the game. Additional uses on the same type of minion will only increase damage to that type of minion by 1%. Minion Dematerializer is disabled for the first 155 seconds of the game, which means it will come up by the time the 3rd waves arrive (the first cannon minion wave). In most games, bdd will use at least 1 dematerializer per minion type. That way, he’ll accrue at least 4% extra damage to multiple kinds of minions throughout the game. Using it on the Cannon Minion in the 3rd wave can instantly give you level 3 and surprise opponents. Minion Dematerializer can be used in combination with other spells. By using Ryze's Spell Flux (E) on a minion about to be absorbed, you can spread Spell Flux to other minions and even an enemy champion if he's close. It can also be used in combination with Malzahar's Malefic Visions (E). Minion Dematerializer can give you lane priority, and in the higher echelons of play, lane priority is everything. Having lane priority means a you're able to push the wave faster, and then do something with that push advantage while the opponent is stuck farming XP and gold under tower. With priority, a laner can look to roam to another lane, place deeper vision, or accompany their jungler in an invade to steal experience from camps or even kill the opposing jungler. A laner with priority will also have the opportunity to move first in case an invade fight breaks out, allowing them to quickly assist. In this clip, Doublelift and Olleh have the push advantage, so they are able to react first to the fight in the bottom side of the river, and turn the fight in Team Liquid's favor. A big part of pro play is optimizing back timings, or making sure a team isn’t giving the opponent too much leeway to regain map control by warding or taking neutral objectives while they reset. Guaranteeing you have the minion push with Dematerializer can give you optimal back opportunities, allowing you to grab core items and get ahead in tempo. In chess, tempo refers to turns as a resource. In League of Legends, it refers to time as a resource. If you're ahead in tempo, it means you have more time to act on the map before your opponent is able to adequately respond. In the infamous lane swap meta, getting the first turret before the opponent meant you were ahead in tempo, as you could move onto the next play before your opponent and control the pace. The optimal time to run Dematerializer heavily depends on playstyle. You see it on champions that struggle wave clearing, like Zoe and TF, as well as champions that already push well, like Malzahar. 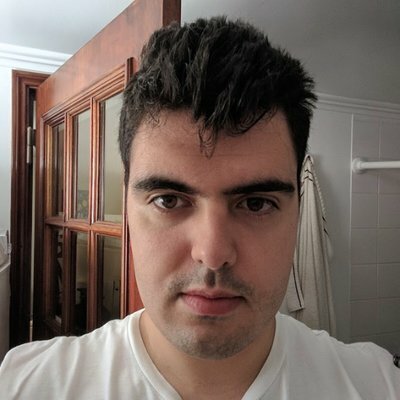 Tempo is why we've been seeing Unsealed Spellbook on AD Carries. It began with Sivir, and has recently been used on other champions such as Varus and Kalista. Ultimately, it’s just another method of gaining tempo and keeping lane pressure. The idea is very simple: an AD Carry backs for their first purchase and immediately teleports back to lane to not lose any experience or gold. With an item advantage, it’s likely that the ADC who bought can push in faster. The enemy can’t match the push or fight because he hasn’t bought, so he either has to play with the disadvantage, or back and give up experience and tower damage. In Cloud9 vs 100 Thieves, both of C9’s bot lane members took Unsealed Spellbook, and with an already superior pushing lane, they kept the pressure for all of the early game. Cody Sun and Aphromoo played out the lane without backing for a while, but eventually had to yield and back off, giving Kalista some alone time with the turret. Despite all the action up top, Sneaky pushed Cody out of lane to take the first turret at 12 minutes. League of Legends has been about pushing lanes and gaining lane priority for the longest time, and Minion Dematerializer is one of the latest available tools for doing so. Pros run it because they will always look for a strategy that lets them get ahead in tempo, as evidenced by Spellbook AD Carry becoming a trend.